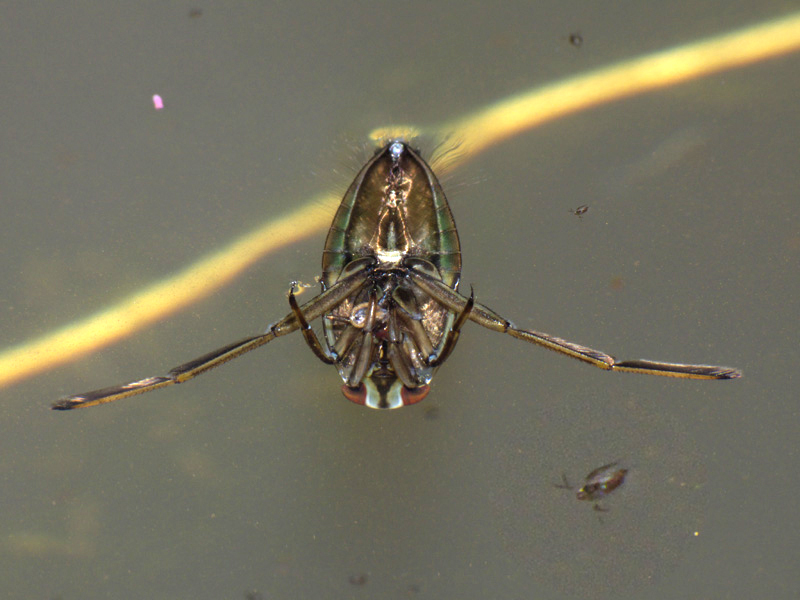 Here's a photo I took just over a year ago of the Greater water boatmen on our pond - backswimmer with long oars ! You have to be careful with this larger variety as they will nip you if you put any limbs in the water ! No lol, we learned early on not to go wading to clean out the algae ! 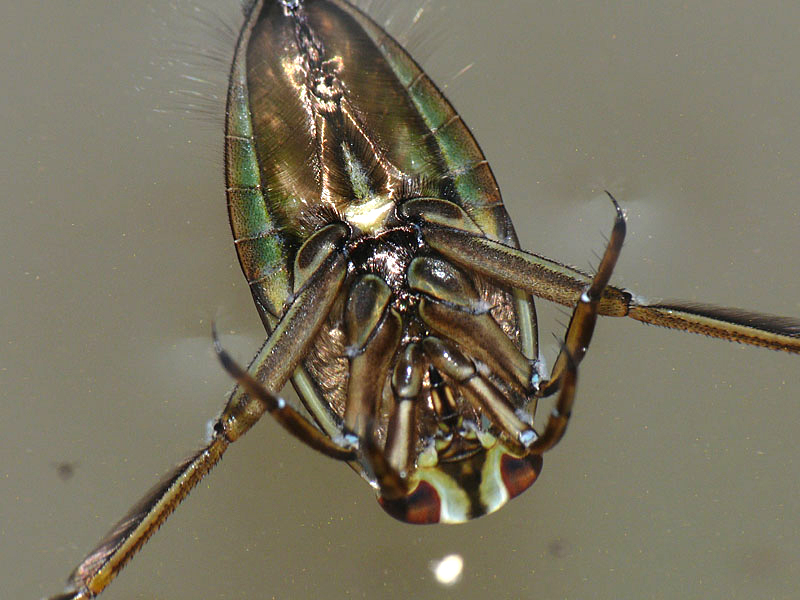 Is it a another name for a water boatman Nige? They are actually a species in their own right, complete with their own Latin name; Corixa Punctate. However, the term waterboatman is over used to encompass pondskates as well, among many other water surface insects. It surprises me how many you can get in a pond. 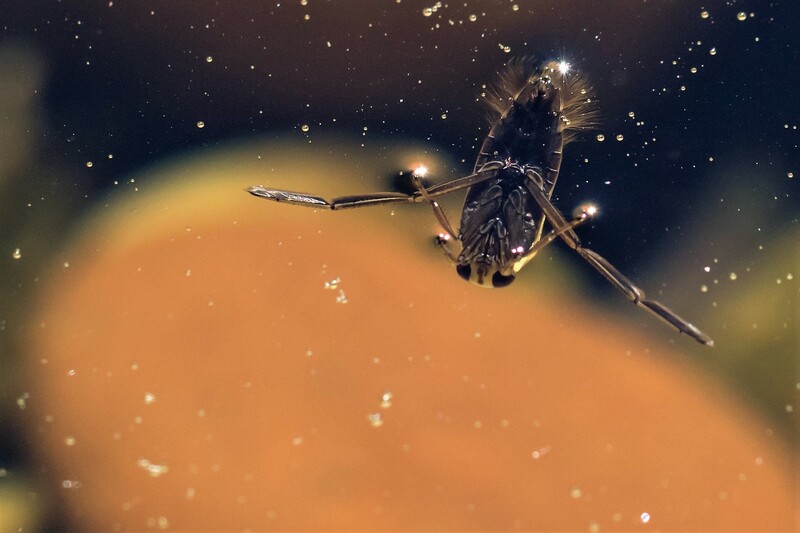 I've seen dozens in a tiny pool. You wouldn't believe there was enough for them all to eat, well, unless you go paddling!!! Yours could be N.maculata with those large red eyes ... mine looks like N.glauca? The one on your hand looks odd, very pale and not really any wing-case markings. Was it newly emerged do you think? I understood Corixa Punctata was just one of several similar species commonly known as Lesser Water Boatmen, although perhaps it is the common one. 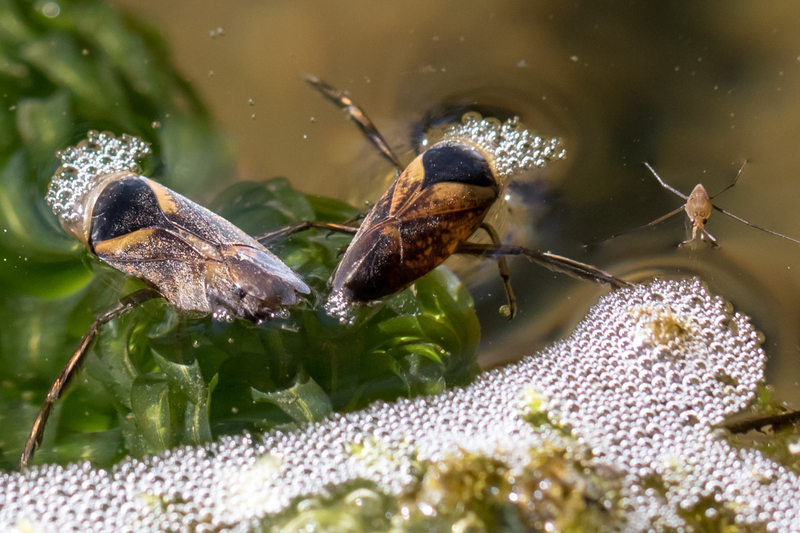 You'd probably need to be an expert to determine the exact species though, which is were the common name often wins for me, because you don't need to go into that detail. I did wonder that too Nige but did find an image on Google very sililarly pale & labelled N.glauca! ITM, this quite large & handsome beastie quite literally bounced off my head & landed at my feet as I walked garden path today ... one of my favourites, Western Conifer seed bug (Leptoglossus occidentalis) ... what a grand name! Thats one nice looking bug Wendy.